Photos on canvas are the most successful wall art. 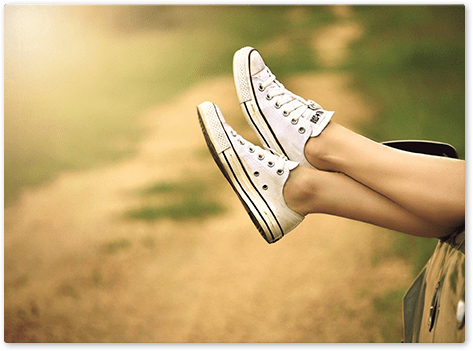 It is an attractive option for getting more out of your photos. Many have taken advantage of this option and are already familiar with this cheap canvas printed product. For customers with experience of the product, the question is therefore how to get canvas prints cheap and in high quality. To make this possible, we regularly offer cheap canvas prints on popular sizes. This way, you can be guaranteed the canvas pictures quality alongside a discount deal on canvas. Did you know? More than 250,000 have been thrilled by our products. 97% of our customers rate us with GOOD or VERY GOOD. 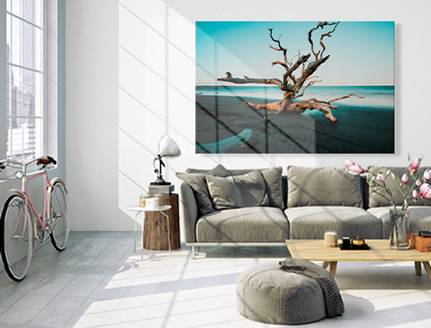 The 90 x 60 cm photo on canvas in the aspect ratio of 3:2 is one of the most popular formats of print. We regularly offer this size of canvas prints cheap – all you need to do is watch out for our discount offers. We regularly offer deals on cheap canvas prints for the following photo formats: 45 x 30 cm and 90 x 60 cm canvas. Although the digital photo format has lost some of its popularity, it is still one of the best-selling canvas sizes. The various sizes each have an aspect ratio of 4: 3. In this format we also offer cheap canvas prints. The following sizes are regularly on offer: 40 x 30 cm, 80 x 60 cm, 120 x 90 cm. The square photo format is often ordered by experienced photographers as it is ideal for creative design with wall photos. Whether as a single print or arranged as a multi-panel series, the square canvas always looks good. Therefore we regularly offer cheap canvas prints in the square format too. The following sizes are regularly on offer: Print canvas sizes start at 20 x 20 cm and also include 60 x 60 cm and 80 x 80 cm. When you want to find canvas prints cheap, the best idea is to order a large format. This is because the photo canvases in large format are always relatively cheaper than the smaller sizes. When you order, for example, a photo canvas in the size 40 x 40 cm, you’ll currently pay €54 for the 2 cm frame version. The same square format in 80 x 80 cm, in contrast, only costs €99. What may not look at first glance to be cheap, is in fact a saving of over 50%. This is because the photo on canvas is 4 times as big but costs not even double the price. In comparison, the larger canvas is thus considerably better value. 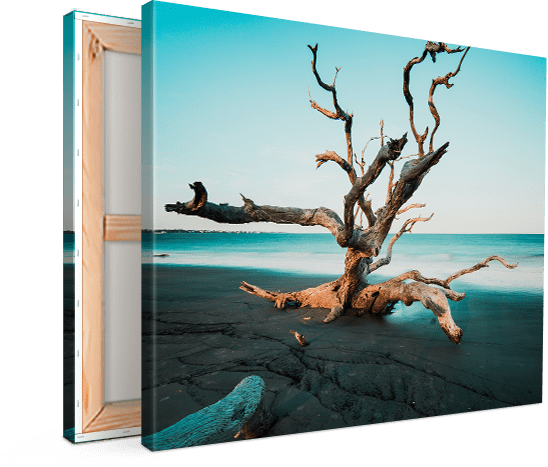 A canvas photo offers the option of having the image wrapped over the sides of the frame, creating an attractive 3D effect. Some motifs require other edging options in order to produce a cheap canvas print. Small canvas prints in particular are at risk of losing a disproportionate amount of the motif from the front. The mirrored edge is the solution to this problem, allowing you to create the perfect, cheap photo canvas. This way, the motif you selected will be entirely on the front of the canvas. If you want to print monochrome canvas prints cheap, you have the option to choose a monochrome edge to match. Depending on the motif of your canvas printing, you can choose black or white. The photo canvas has long been one of the most popular photo gifts. And for good reason: No other format can be ordered so cheaply and at the same time in such top quality. Printing is fast but don’t forget to calculate in the delivery times when ordering. After all, you can only present your gift on time once it has arrived. We offer the standard delivery service to keep your costs down and the canvas prints cheap. If you need your present to arrive even faster, the express service is the right choice. The express service will ensure that your photo canvas will arrive within 48 hours. The 24 hour service is even faster: This delivery service will ensure your cheap canvas prints are with you in 24 hours.